You too will believe a man can fly. Superman Returns has two heroes in it. Not just the man in tights, there is also the man who has almost-married Lois. For while the man of steel may be in the limelight I would have to go a long way to see a better man than Richard White. Why? 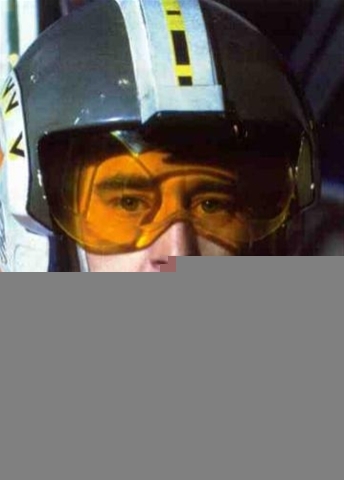 because Wedge is a normal man, lacking in the Force to help him, and yet a man of amazing power and determination. A skilled master of his craft (star fighter combat) and responsible for more quiet courage than the entire Jedi council. The force is not his guide and yet he still not only does the right thing, but does it amazingly well. Such it is with Mr White. It is not an easy thing to raise another mans child and to love that child as a son but he does it with a grace and true honesty I haven’t seen in a character since Samwise Gamgee went There and Back Again. Superman Returns is a film on three levels. Four actually, if you count that the first is a lament for Christopher Reeve. Second is the surface plot. 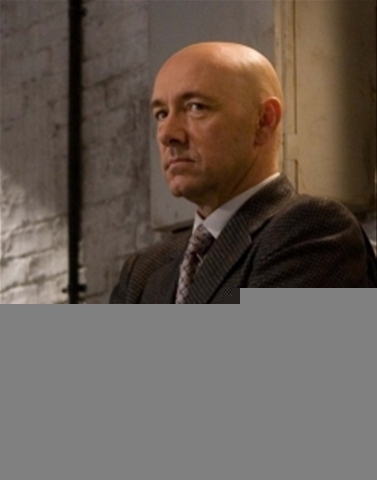 Kevin Spacey knows exactly what he is doing in this film; he is spacing out the action; he is actually backstory. His “plan” is foiled almost as if he knew it would be. his performance is excellent only because he is half Verbal Kint and a half a side of ham. Perfect. Also perfect is Parker Posey who steps very well into the role of “squeeze.” Parker is one of the most attractive, elegant women in Hollywood and yet she manages to act the “dame” role so well it actually works in making her seem…ugly! The nuances of the surface plot can safely be discarded, with only the proviso to say that it moves the real story along well. Third is the real, deep plot. That is the love triangle between superman, Lois and Mr White. This part of the movie had little of the spectacular but all the actual heart. Heart in buckets. While you, as I did, may see the twist in this play coming, you cant fail to be moved by the quality of the script and delivery. This is pitch perfect. Little looks, little movements. All executed to arrange a layer of the story that the younger audience will miss entirely. That’s right, Superman Returns is an adult film pretending to be a kids summer blockbuster. Much, if not all, of this layer will be missed by your average teen for it was written for me and you: those of us who have watched and loved the Superman movies since we were kids. Those of us with a little of the backstory, delivered at a time when it meant something to us growing up. Like my allusion to Starwars above, Superman spoke to us as children. This film speaks to us as adults. Forth is the man himself. Those of us who loved Kill Bill 2 will remember the soliloquy regarding Superman all to well. In fact it was playing in my mind during much of the action. Bill: As you know, I’m quite keen on comic books. Especially the ones about superheroes. I find the whole mythology surrounding superheroes fascinating. Take my favorite superhero, Superman. Not a great comic book. Not particularly well-drawn. But the mythology… The mythology is not only great, it’s unique. Now, a staple of the superhero mythology is, there’s the superhero and there’s the alter ego. Batman is actually Bruce Wayne, Spider-Man is actually Peter Parker. When that character wakes up in the morning, he’s Peter Parker. He has to put on a costume to become Spider-Man. And it is in that characteristic Superman stands alone. Superman didn’t become Superman. Superman was born Superman. When Superman wakes up in the morning, he’s Superman. His alter ego is Clark Kent. His outfit with the big red “S”, that’s the blanket he was wrapped in as a baby when the Kents found him. Those are his clothes. What Kent wears – the glasses, the business suit – that’s the costume. That’s the costume Superman wears to blend in with us. Clark Kent is how Superman views us. And what are the characteristics of Clark Kent. He’s weak… he’s unsure of himself… he’s a coward. Clark Kent is Superman’s critique on the whole human race. Sorta like Beatrix Kiddo and Mrs. Tommy Plimpton. Like the other DC ultimate super hero; Batman, Superman believes in “American Justice” and this is the only part of the character that does not ring true (and in fact; never did.) Because we all know the limits of the US judicial system, right? In every other respect, Superman is amazing. Consider this, most other hero’s effect that which is outside them, for example Magneto can control metals. Either that or they lack something inside them, something dark takes hold of them. For example, the Punisher is driven by encroaching madness. Superman stands as the embodiment of a human ideal; control over one’s self. 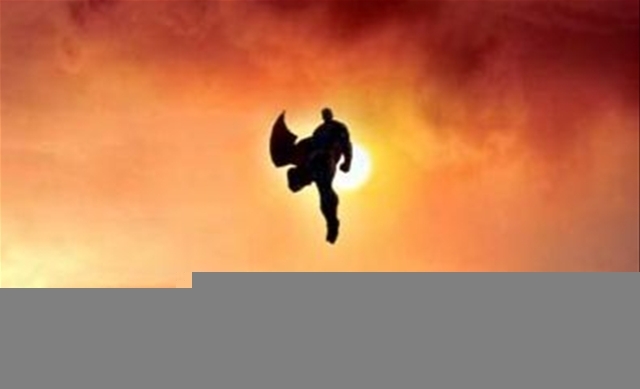 In contrast to the other Super hero’s, Superman is always in control of himself mentally and physically. Would the scene where he walks through the hail of bullets towards the Mini Cannon wielding bank robber, who then shoots him in the face, actually work if superman didn’t watch the entire thing with a level of super human detachment? The bullets bounce off with no effort and the final colt 45 face-shot simply crumples. But through this barrage Superman walk, watches and then only raises an eyebrow. He is impossible to piss off. His power is that great. Also, amazingly, he is powered by the most natural force in the solar system; the sun itself. Unlike the dirty bomb radiation of the Hulk, the bat crazy mentality of Batman, the radioactive spider bite of Spiderman or the dodgy Super Soldat process that spawned wolverine, Superman is Solar powered. He is a family friendly, healthy and above all environmentally friendly. Thus he is the perfectly acceptable super hero. What could be more natural than being solar powered? The scene where he renews himself in the sun is stunningly beautiful because of this. I digress here, but I always wondered why he hung about in low Orbit so much… know I know; he was recharging. The “Christian God” angle. Yes, all the stops are pulled out for this one. Superman is the Jesus that the Americans wish they had. Not meek, but strong. So strong that he can afford to be meek. Like a man handling hamsters: gentile, firm, guiding, wise and caring. A man unlike “V” (who takes our conscious to a higher plain through pain), Superman makes us feel warm and safe, he is the perfect Christian. And yet dispite this, (I am firmly in the Richard Dawkins camp myself,) just for those moments in the film we can almost wish he was real. Stepping outside of that cocoon of unreality, I am back here. And whilst I may be stuck here, a part of my childhood and a wonderfully example for my adulthood have been awakened. I overstate not at all when I say that Superman and his human rival for Lois represents all that is good in men. I hope to take from their example.